As the holiday season comes in, Huawei launched their Christmas Grand Promotion today, November 16th up to January 15, 2019. 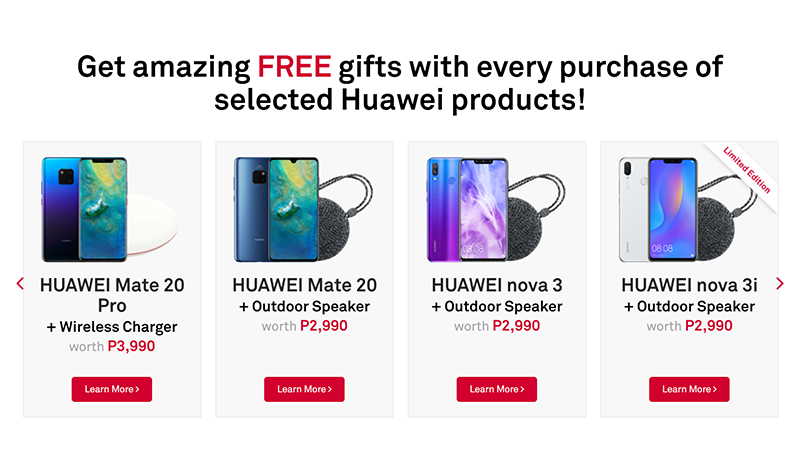 Customers who purchase select Huawei products will get FREE gifts worth up to PHP 3,990. In addition to that, they are also holding social contests putting their devices, such as the Huawei Nova 3i and Mate 20 Pro, up for grabs. You can get a chance to win a brand new Huawei Nova 3i Pearl White on their "Make a Wish with Huawei" social contest where you can tell your Christmas story. There will be two devices up for grabs in this contest. The other one is a photography contest dubbed as the "Christmas with Huawei" contest. There will be 4 winners of Huawei Nova 3i Pearl White and 1 grand winner of a Huawei Mate 20 Pro. You can check out more information on Huawei's website.